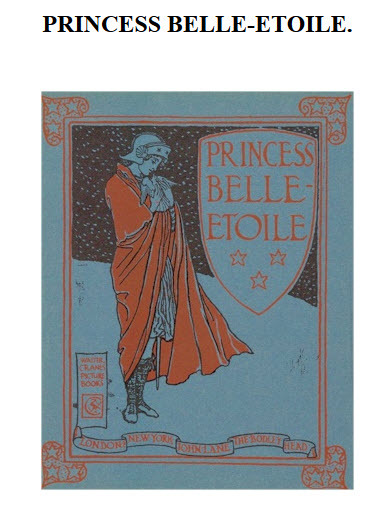 Illustration from Princess Belle-Etoile drawn by Walter Crane. This is a picture of the front cover of the book, published around 1909. The story is based on a fairy tale written about 200 years earlier by Madame d'Aulnoy and based on an even older Italian folkloric tale.